Does nurse scheduling or float pool management take up too much of your time? 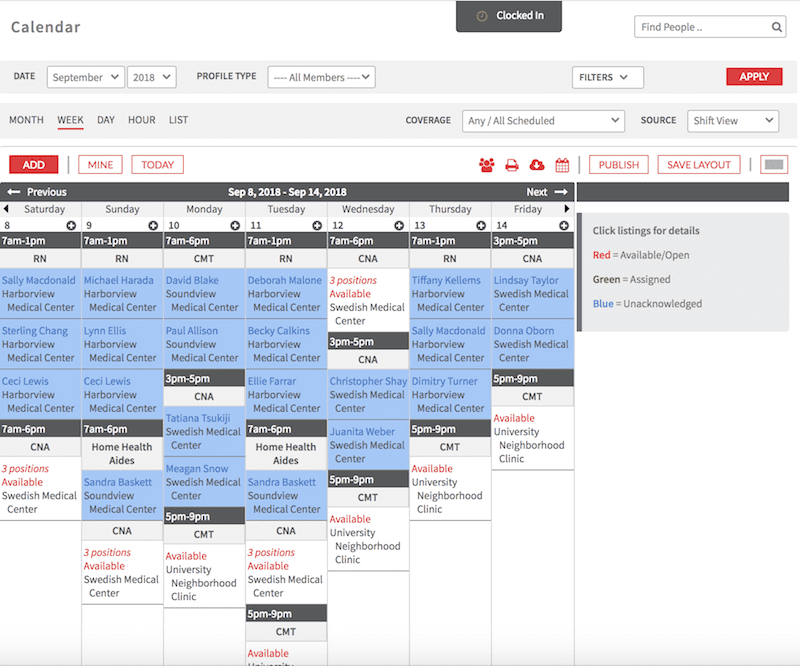 Whether you’re working in a single hospital or across multiple sites, the constant changes of nurse scheduling can be difficult to manage. Shiftboard is a great fit for nurse shift management. Shiftboard’s online nurse scheduling solution gives your 24/7 workforce an easy way to check their schedule and update their availability online or from their phone, streamlines communication with your nurses, and instantly identifies coverage gaps. With Shiftboard, you can manage your nurse roster proactively with real-time reports for labor forecasting, coverage, and more to identify issues and avoid cost overruns. We’re dedicated to your scheduling success, so we guide you through the onboarding process and offer robust support as you use our software. When you choose our nurse scheduling software, you can focus on providing the highest quality of care. Streamline communication with your nurses without having to hit the phone tree every time there’s a change in start time or location. Instead, stay connected with text messages, alerts and notifications for new shifts and last minute updates. Fill shifts quickly and accurately—ensure every job is filled by a nurse with the right skills and certifications. Manage complex float pool scheduling with the ability to schedule for multiple locations from one scheduling center and avoid double booking staff members across locations. Enable self-scheduling on some or many shifts to save time and reduce headaches for both nurses and schedulers. 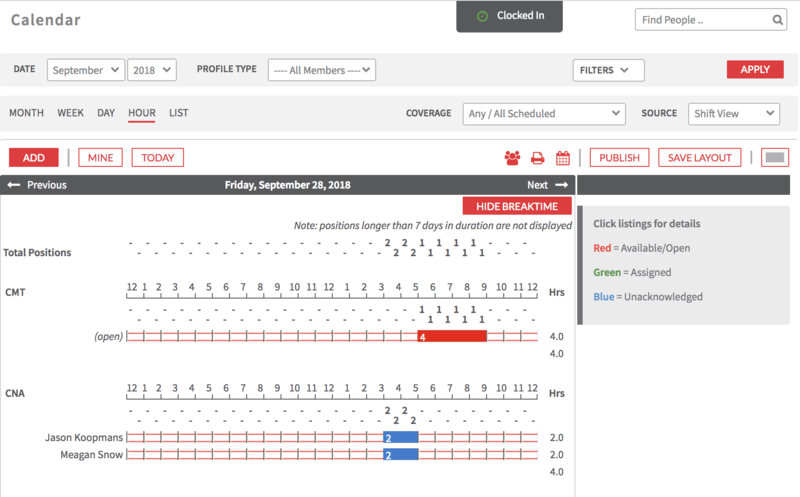 View coverage gaps and real-time schedule status. Free up managers for value-add activities instead of bogging them down in the day-to-day tactics of scheduling, canceling, calling, trading shifts, etc.